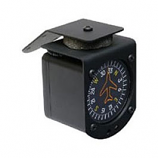 These Sigma Tek Single Scale Airspeed indicators have unrestrained movements,and are actuated by ram air and ambient atmospheric pressure obtained from the aircraft pitot and static pressure systems. 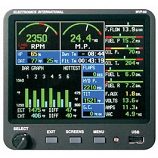 The Sigma Tek Standard Airspeed EA5173 model has a movable pointer and a fixed dial to indicate airspeed with the zero index at the 12 o’clock position. The temperature compensation is internal with no need for external zero adjustment, while the pointer damping is internally adjustable. Designed to meet the requirements of FAA TSO-C2b for a Type I instrument.